A stylish sanctuary that accommodates the modern family offering a creative design beyond its attractive contemporary facade, this stunning tri-level residence captures the essence of sophisticated quality with an outstanding design that focuses on easy maintenance inside and outdoors – ideal for entertaining all year around. With natural light flowing throughout the residence this airy home features solid Blackbutt flooring, bi-fold doors that integrate seamlessly with the outdoors – perfect for entertaining. Manicured landscaped gardens, alfresco deck overlooking the swimming pool and lounging area. Gourmet chef’s kitchen with Caesarstone bench tops and Miele dishwasher and freestanding Electrolux induction top and 900mm self cleaning oven. From the formal entry you will find a spacious office or additional bedroom, guest bedroom with built in robes and own ensuite/powder room, and theatre room. The open plan dining, family room and functional dream kitchen makes this an ideal family home. The upper level comprises the master suite with deluxe ensuite with walk in shower, double vanities and large walk-in robe. The two additional queen size bedrooms both with built in robes are serviced by the stylish family bathroom. The home has zoned reverse cycle air conditioning, security system and a spacious double garage with an extra store room or cellar. 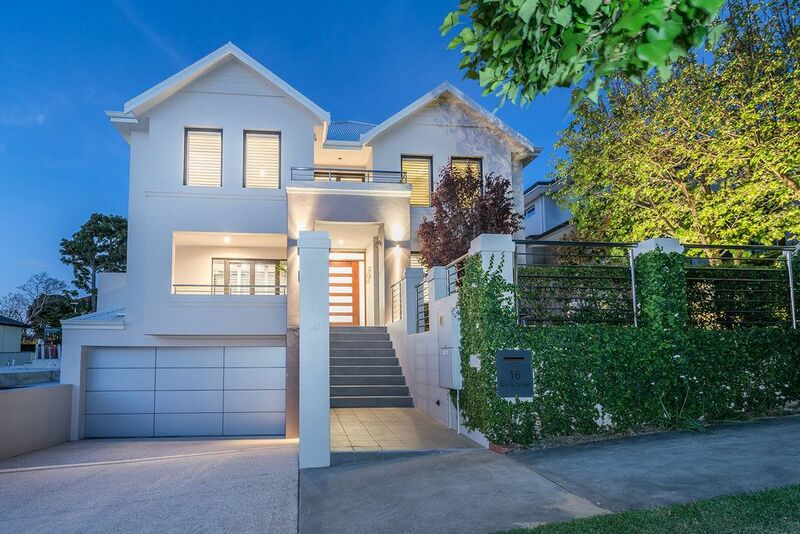 16 Glyde Street is a superb property that has been custom designed with immaculate attention to detail and is perfect for families who want to live and entertain in style with nothing more to do or spend. It offers a smart and stylish residence in one of South Perth’s most desired streets surrounded by a leafy green neighbourhood that’s within easy reach of Royal Perth Golf Club, Sir James Mitchell Park, Swan River and Mends and Angelo Streets shopping and restaurant precincts. – Internal access to home. A Magnificent Family Home which is a Must See.